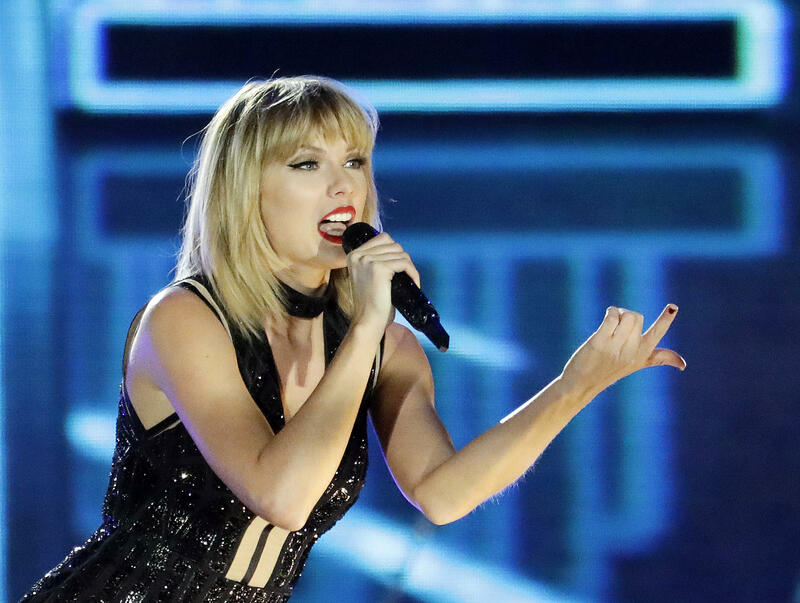 DENVER -- Taylor Swift appeared in federal court in Denver Monday as jury selection began in her lawsuit against Denver disc jockey David Mueller. The lawsuit stems from a backstage photo session four years ago, during which Swift says Mueller grabbed her buttocks under her dress. Swift wore a white dress with a black jacket on Monday as the eight-member jury is chosen from a pool of 60 prospects. There will be no alternates. They must be present for the rest of the trial. Swift is expected to testify. Mueller was fired from his job at a country music station after Taylor's team told his boss that Mueller grabbed her buttock during a meet-and-greet before a 2013 Swift concert in Denver. A photograph will play a key role as evidence. The photo shows David Mueller with his right hand behind the singer, just below her waist, before a 2013 concert. It's inconclusive whether he's touching her. Both are smiling. Mueller later sued Swift, denying anything happened, and is seeking at least $3 million in damages. Swift countersued, alleging sexual assault by Mueller. She says she wants to hold Mueller accountable and is seeking $1.